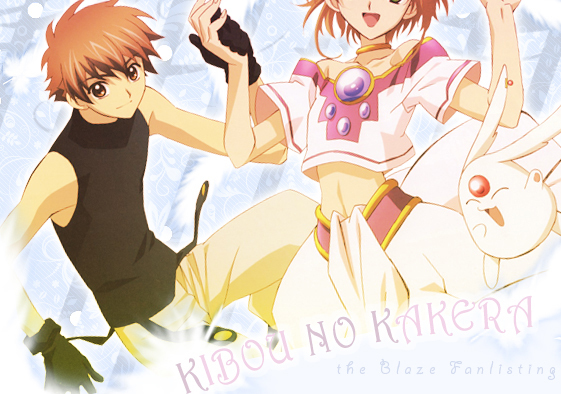 ¤ You reached Kibou no Kakera, the fanlisting dedicated to the first opening theme of the series Tsubasa Reservoir Chronicle. May 3, 2009: All the sections are complete now! *-* And I added more codes as promised! Tsubasa Reservoir Chronicle and related characters are property of CLAMP. Layout and contents are © Miriallia Do NOT steal or reproduce.